I first went to Krakow to attend Summer School, (szkoła letnia) at Uniwersytet Jagellonski to learn some Polish. Poland was, at that time, still under a deep slumber of many years of so called "socialism" ( Americans like calling it Communism, but it had no elements of communism at all, only lingering vestiges of fascism from Nazi and the wars which happened with Russians and other pain body which was left over in their psyche! ) and was a satellite state of the then USSR. I travelled to Poland by train from England and it was more of an adventure than it is today. 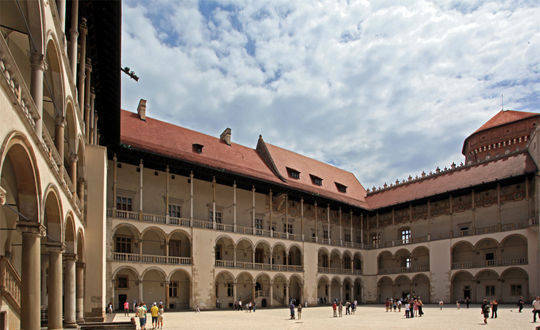 Krakow is one of the oldest cities in Poland as it dates back to around the 7th Century ( it survived all the wars more or less in better condition) and it also was the capital for a period of time. 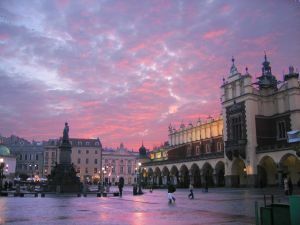 Krakow is more the spiritual heart of Poland, ( although recently becoming very touristy and commercial ) and is a centre for cultural life. I can vividly remember a society which was restless and eager for some change. People weren't allowed to walk together in a large group, there were rations on items like meat, petrol for cars, and even for some chocolate! My aunt would have to queue up early in the shops for a long time to get basic things which she needed for the family. Oranges, Pineapples and mangoes were considered exotic fruits and were rare to be seen, if not seen at all! There was a ubiquitous police presence ( milicija ) which loved instilling a sense of fear, and would stop people and check their identity just for the sake of it. One would hardly see drunken or rowdy behaviour on the streets during those years. I used to change money on the "black market" clandestinely as Polish złoty was a soft currency and I would trade dollars or British Pound Sterling, although illegal. with Polish people as I felt it was helping them to get things they needed with my hard currency I traded with them. During those years the state controlled business and the shops had mediocre and functional products for daily use. Sales people in the shops and server persons in the restaurants were very brusque and when the item you requested wasn't available they would get very impatient with you. We would joke every time about the phrase "nie ma" which means we don't have it , each time we talked about going out at night. The advertising I would see on the streets would not be for things in the shops but rather political slogans and "propaganda" about Soviet and Polish friendship, Socialism and work, etc. Produce/ green grocers and small enterprise would be private at times. I remember overall the people were rather somber and impersonal. Their way of speaking was always very formal. The things we did do were at friends' homes, or going to the countryside for a picnic, visiting antiquities and old museums as there are many beautiful castles, historical parks, cultural venues of every kind to be seen. Today, Poland is night and day difference from when I was there as a young adult. I went to Warszawa several times and watched Poland and the society change from a more or less state run society to a consumerist society, in a sense, joining the ranks with the rest of us, including all of the vices which are part and parcel of our consumer society. Although the state controlled society was prevalent for a long time, the Polish people seemed to have shaken that off quickly and, it seems it will be a forgotten part of their history soon. It seems faster cars, designer clothes, Mc Donalds kind of food, and every shopping rage which is happening around the world is in Poland too. I saw a photo of present day Krakow, with a street full of shoppers and many shops and advertising signs everywhere. I suppose it is similar to old town in Prague with all the shops currently there, as I visit Prague several times since. I heard a rumour that there is a shopping centre near the Holocaust memorial in Auschwitz now? Although Polish society is still more conservative than most of Western Europe due to Roman Catholic and some lingering fascist laws from the Soviet influence in society, but now there are gay friendly clubs, gay bars, gay saunas and private accommodation and guest houses exclusively LGBT, which were unheard of not so long ago. 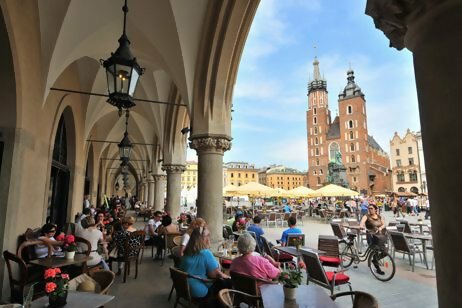 Time will tell what any society will be like in the future, but hopefully Krakow will remain a city of character and a centre of culture, of some kind.